Escape the winter to the gorgeous landscape of the Sonoran Desert and immerse yourself in the sunshine and warmth of the Southwest. 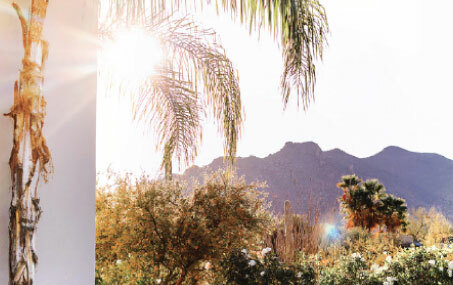 Join Stacy and Amy this March for a 3-night, 4-day retreat at the CIVANA Spa and Wellness Resort in Greater Scottsdale. This new, state of the art, sustainable wellness resort has everything you need to relax, nourish, and nurture yourself and your passion for yoga and adventure. CIVANA's extensive programs, movement, fitness, healing, art and cooking classes are included in the retreat. You can also choose from a variety of classes with Stacy and Amy including multiple level yoga classes from challenging vinyasa to gentle yoga, workshops as well as guided meditation. There will be ample time get get out in nature for epic hiking, pamper yourself at the 22,000 square foot spa or explore the area’s great shopping and restaurants. Eat healthy food, connect with like-minded people and join us for this accessible winter getaway and leave feeling completely recharged and inspired. How will you be paying. *Note: $500 deposit is required to secure your spot and remaining balance to be paid in full prior to the retreat. Thank you! You’re registration has been received. We look forward to journey with you to Arizona!